Navy leaders now say it will be possible to build more Virginia-class attack submarines at a faster pace than currently planned as part of an aggressive move to address and counter Russian and Chinese submarine expansion. 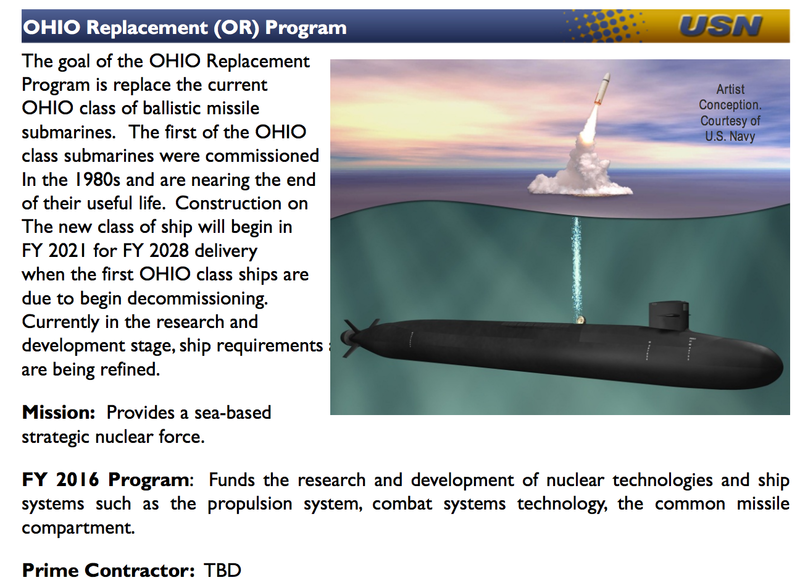 In a special exclusive interview with Scout Warrior, former Navy Director of Undersea Warfare said the Navy and its industrial partners to have the ability to build 2 Virginia-class submarines per year once production of the Ohio Replacement Program nuclear-armed submarines begins in the 2020s. 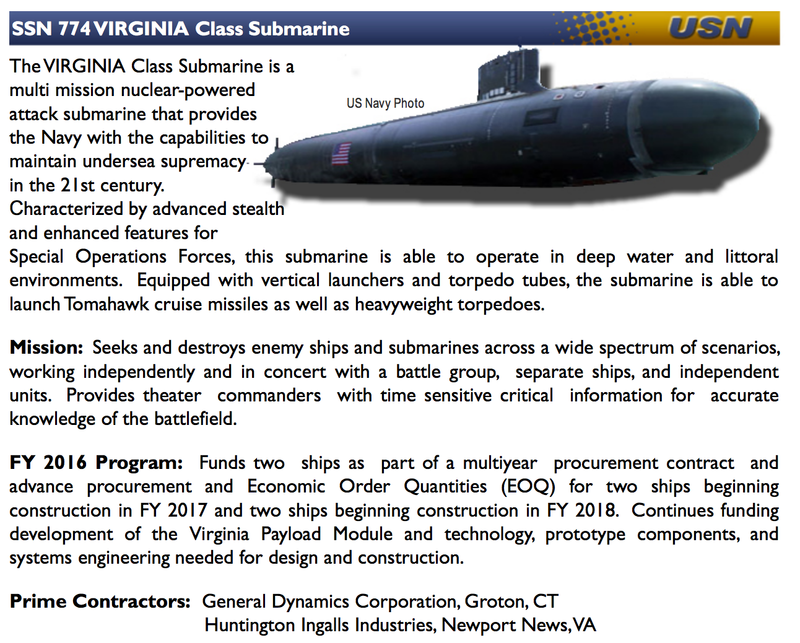 Without the proposed change the US would complete 1 Virginia class submarine each year starting in 2021 (see procurement below as currently planned). Sustaining Virginia submarine construction at 2 per year would mean 10 more submarines in 2030. Of the world’s 300 submarines that are not part of the U.S. Navy (which has 73), two-thirds are in the Indo-Pacific region. China is shifting away from the small, short-range subs it used in the Cold War. The Chinese navy has at least 70 subs, and over the next decade it’s looking to add as many as 20 boats capable of traveling long distances submerged in deep water for days at a stretch. 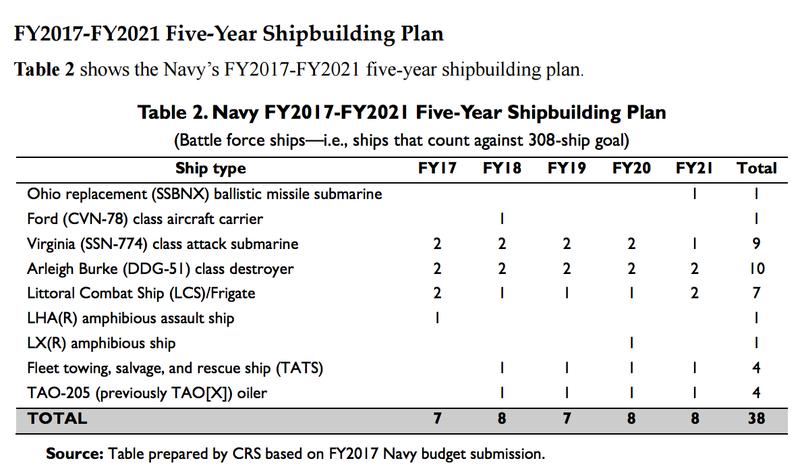 According to Defense News, James Fanell predicted by 2030 the Chinese Navy will have ninety-nine submarines, four aircraft carriers, 102 destroyers and frigates, twenty-six corvettes, seventy-three amphibious ships and 111 missile craft, a whopping 415 ships in total, to approximately 309 in the U.S. Navy of 2030. This would put China in a solid position as the world’s largest navy by number of ships—though not by total ship tonnage. 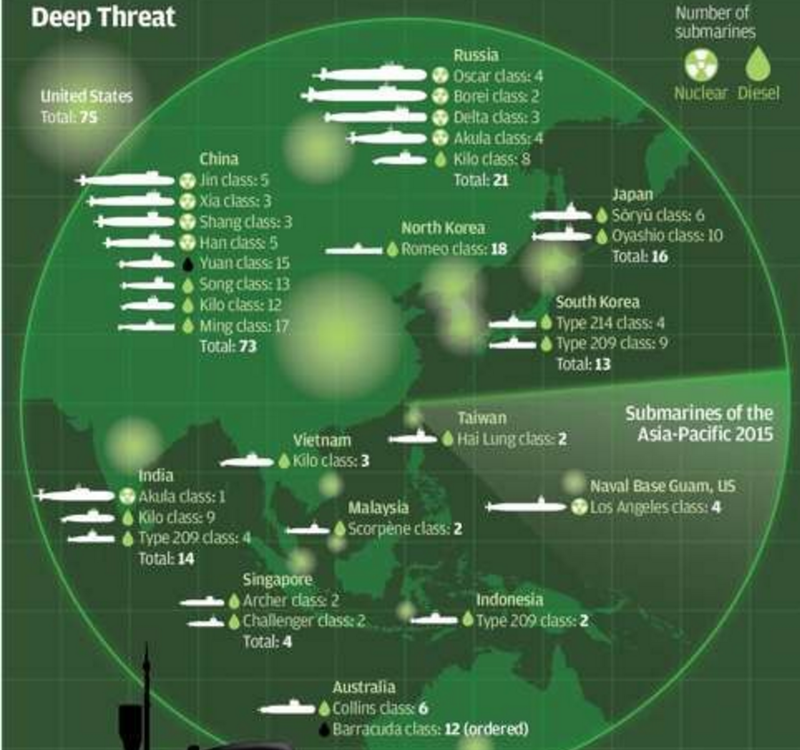 China already has over 300 surface ships, submarines, amphibious ships, and patrol craft. In 2030 many of China’s warships are likely to be more advanced. There were 200 submarines in East and South Asia in 2010. By 2030 that number will rise to about 300. India plans to build 24 submarines over the next 30 years in a bid to keep up with Beijing’s undersea prowess. Indonesia ordered two Russian-made Kilo-class submarines and is awaiting the delivery of three South Korean-built subs ordered in 2012. Australia has ordered 12 new submarines from France at a cost of $39 billion.